There has been one too many parodies for a Dora the Explorer. And of course, there was that Cardi B comparison which dangerously paraded on the side of the web that would take kid animation and gaming characters and sully them in NSFW scenarios. And to be fair, Pornhub probably has passed that threshold a thousand times over already. Humanity is so doomed. But this Paramount Pictures’ trailer you are about to see, is purely real. Dora and The Lost City of Gold is bringing the trepid girl explorer to the silver screen. 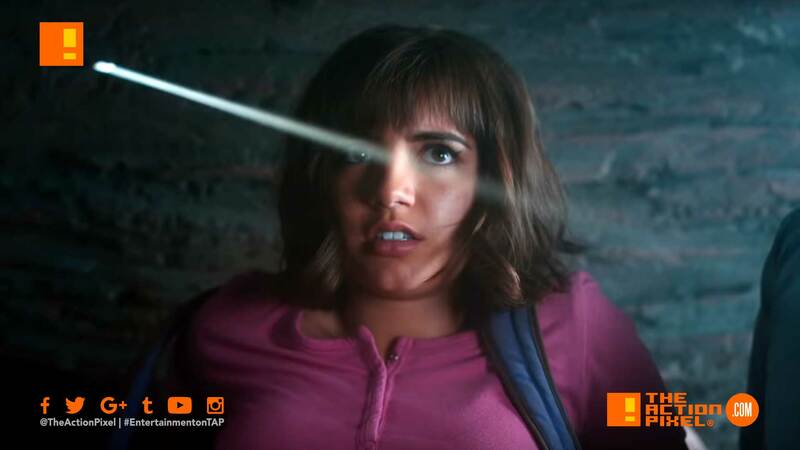 Get ready to unleash your wild side.🐒 Watch the official trailer for Dora and the Lost City of Gold, starring Isabela Moner, Eugenio Derbez, Michael Peña, Eva Longoria, and Danny Trejo. #DoraMovie swings into theatres August 2! Having spent most of her life exploring the jungle with her parents, nothing could prepare Dora (Isabela Moner) for her most dangerous adventure ever – High School. Always the explorer, Dora quickly finds herself leading Boots (her best friend, a monkey), Diego (Jeffrey Wahlberg), a mysterious jungle inhabitant (Eugenio Derbez), and a rag tag group of teens on a live-action adventure to save her parents (Eva Longoria, Michael Peña) and solve the impossible mystery behind a lost city of gold.